We’re so happy to be a part of lively downtown Campbellford in the summer! Boats are back on the canal, cottagers are in town, and everywhere you turn there are concerts and festivals and fairs to enjoy. What a fabulous time of year! 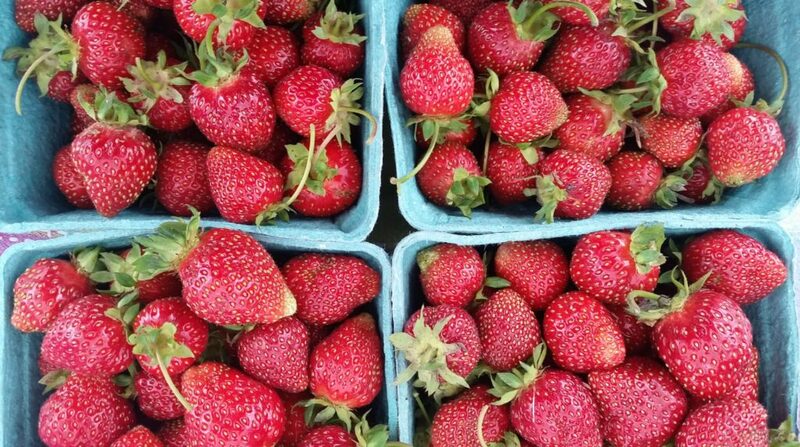 This week at market there’s lots in store. Helen of Evegroen Gardens reports that it’s almost time for new potatoes! She’ll be doing some digging on Tuesday and if things are as she hopes, she’ll have new potatoes at Wednesday market. Yum yum! Lots of new garlic products in the works at Rainbow Terrace. 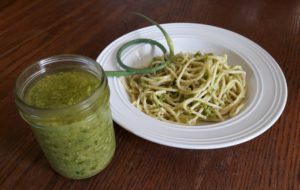 Watch for Garlic Scape Pesto at Wednesday market! 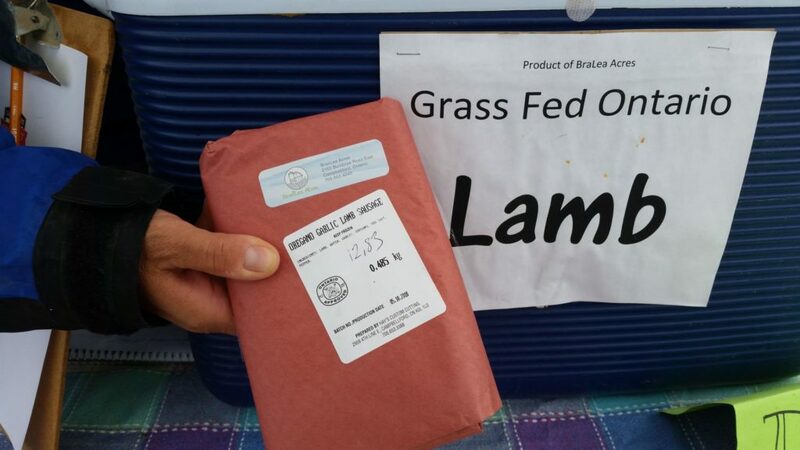 Frank and Amanda will have more pesto on Saturday, their popular Garlic Scape Butter (awesome melted on veggies! 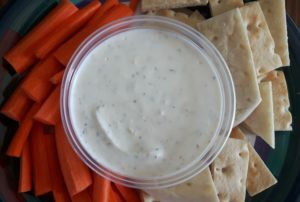 ), and their new Gourmet Garlic Dip and Dressing. I can’t wait to try it! Ashley at A2 Baking Creations has been busy picking strawberries. Her pies reflect what is in season. Ashley bakes with real fruit, not pie filling. She’s got Strawberry Rhubarb pie on her table at this time of year, made from local strawberries and rhubarb. It doesn’t get better than that! Wholesome Breads by Erin are back! We’ve all missed Erin’s delicious bread and fingers crossed she’ll have some shiitake mushrooms this week too. We’ll be joined this week by artisans Grey Willow, Sign Design, and Northern Life Soap. A big welcome to new artisan vendor – Ken’s Rush Point Carving. 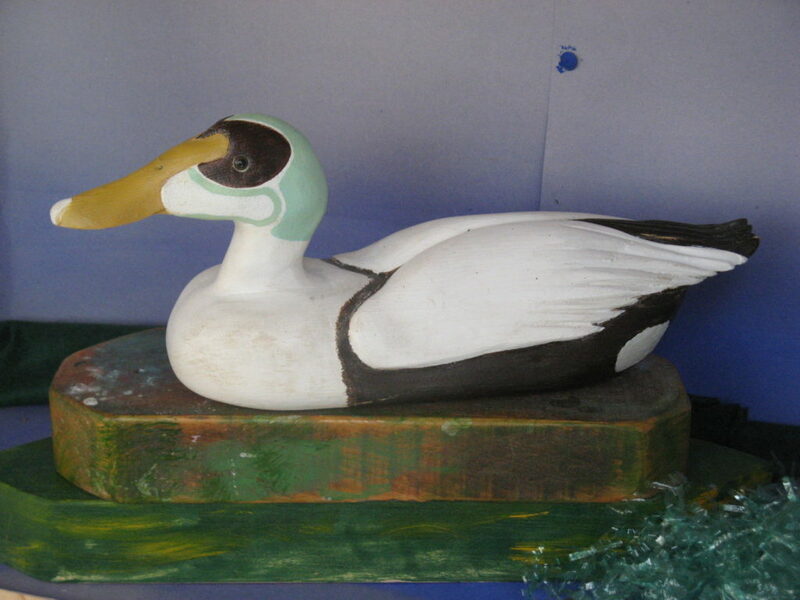 Ken carves and paints whimsical and realistic fish and ducks out of wood. So creative! Talented local musicians Jessamyn Pedersen and Kayleigh Bakocs will be busking for us. Check out their bios on our calendar page! Welcome summer! We’re ready for you! Thanks for reading and we hope to see you this week! 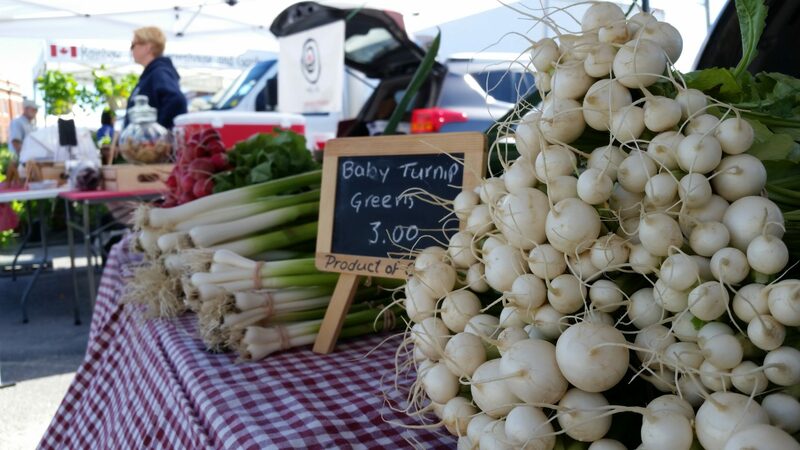 Often when we think of spring crops, things like rhubarb, asparagus, and baby greens come to mind. 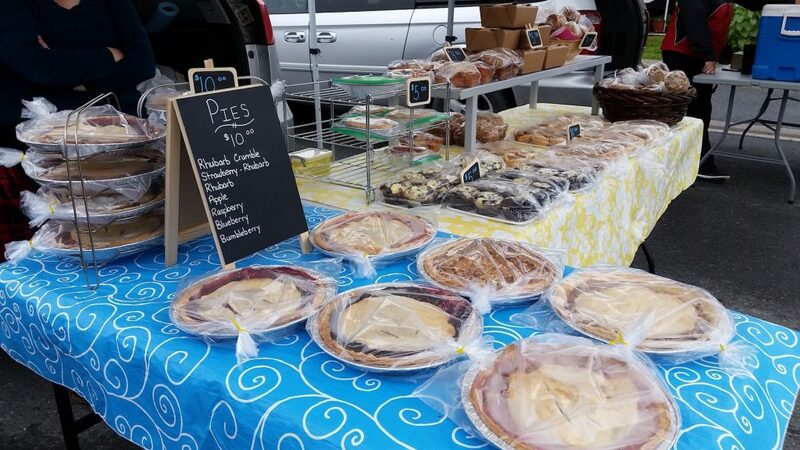 Farmers’ Markets are great places to discover new favourites; foods that either don’t travel well enough to show up in grocery stores, or just aren’t common enough to find easily. Spring garlic falls into this category. It makes an appearance this time of year at the market and is worth seeking out! Garlic is best planted in the fall. In the late spring, garlic plants are well on their way to be the plump tasty bulbs that we all know and love, but they’re not quite ready yet. This doesn’t stop them from still being a delicious addition to your savoury dishes. 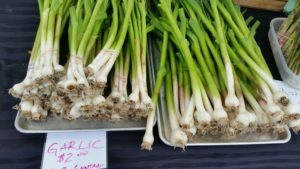 Spring garlic or “green garlic” can be eaten in it’s entirety – slender bulb and greens. It’s easy to prepare. No peeling is necessary. Just run it under cold water to wash, and then chop it up. It has such a pleasant mild flavour that some people enjoy eating it raw in salads. It can also be cooked – like leeks or spring onions. One stalk is roughly the equivalent to one clove of mature garlic. Rainbow Terrace is your best stop for all things garlic. Be sure to stop by and scoop up a bunch to try! Lissa Clements of Grey Willow joins us with her bohemian influenced jewellery, soy candles and natural soaps. Lost Road Gardens has a good strawberry crop this year. Be sure to come early and see Ivar before they’re all gone! 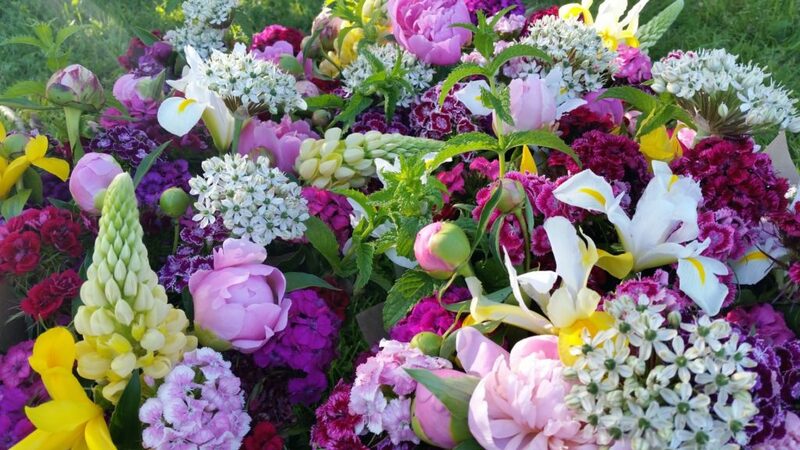 Glenlea Farm will have the last peony bouquets for the season. They’ve got to be one of my favourite cut flowers. They have such a long vase life and are so beautifully fragrant! 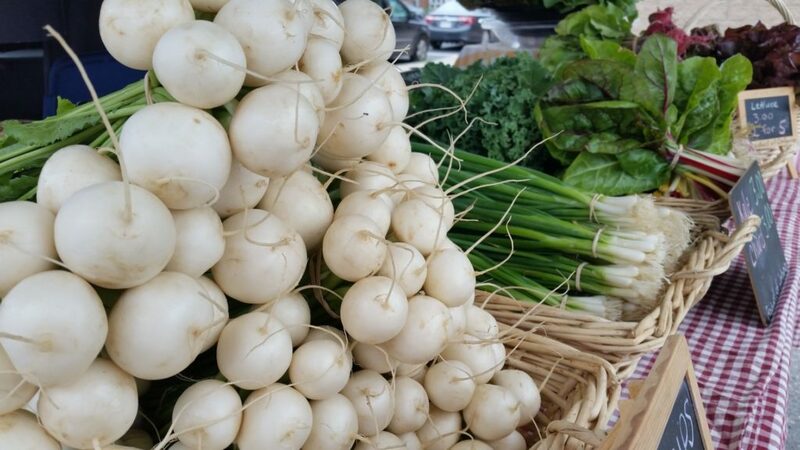 Undercover Farm’s little white turnips were a hit last weekend. So mild and crunchy! I hope Nadia brings more on Saturday. 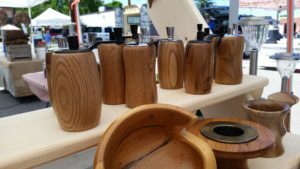 Artisan Alec Davis of Davis Woodworks is back with us on Saturday. 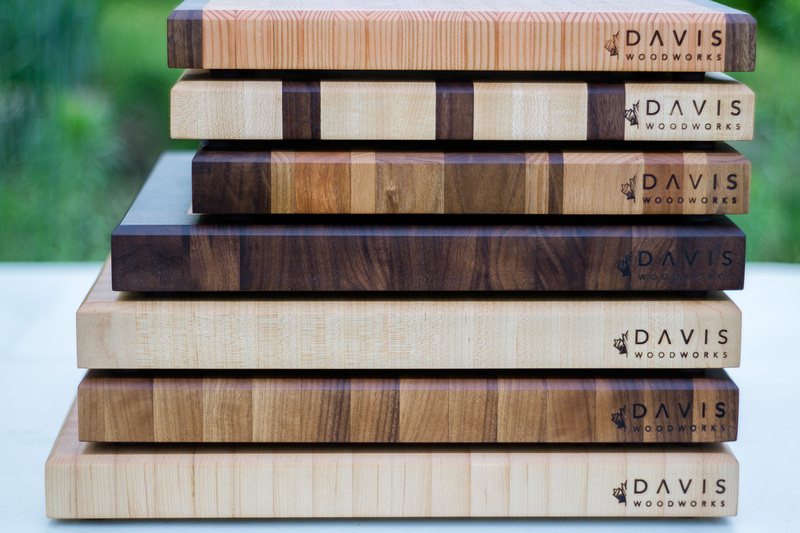 You’ll remember Alec’s spectacular woodworking from market last year. If you’re going to any weddings this summer and are stuck on gift ideas, Alec’s pieces are works of art to be treasured. A perfect gift! Katharine Grace of Studio Grace will join us again with her gorgeous handcrafted jewellery. And we’re looking forward to enjoying a performance from local musicians Phoxy Music! Thanks for reading and we’ll see you this week! The manic month of June is upon us! The days are long and garden work is at it’s peak. Those weeds really do seem to pop up out of nowhere! If you’ve got children in your life, they are likely wrapping up academics, taking part in end of school year trips, and starting their summer sports activities. Busy days! Sunday is Father’s Day, and for all the men out there who work so hard to keep family life running smoothly (which is a challenge this month! ), we hope it’s a day of rest and celebration. 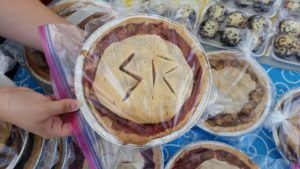 If you’re looking for ways to make the day special for Dad, we’ll have three artisans at Saturday’s market this week: Chandra Rice, Lone Elm, and Art de Claude. They all have great gift ideas. 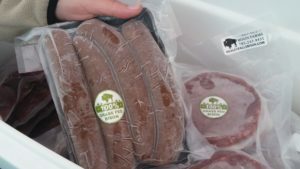 Or why not buy a special cut of meat for the barbeque from Russett Farms, Healey Falls Bison Farms or Braelea Acres as a treat? Maybe something for Dad’s sweet tooth like a delicious “made from scratch” pie from A2 Baking Creations would fit the bill? Or, if Dad is a gardener, Rainbow Terrace still has an amazing selection of plants for his vegetable or flower gardens. Also on Saturday, we’re welcoming representatives from Northumberland County to our community stall. They are working on a branding project and are looking for feedback from the public about what makes our community unique. If you stop by their table and share your thoughts by taking a two-minute survey, you could win one of five Bluetooth speakers! If you’re a music fan you’ll enjoy listening to Nicole Craig perform on Saturday. Check out her bio by clicking on her name. She has an impressive resume! And finally, we were happy to get a shout out on Facebook this week from the Campbellford Branch of the Trent Hills Public Library. Every year we set aside some money to donate back into the community. 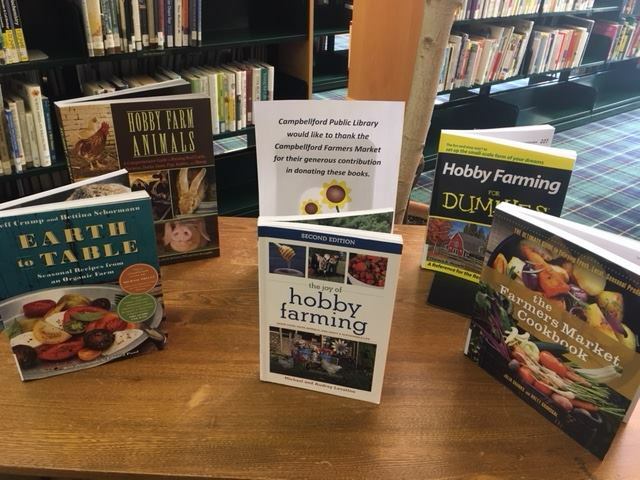 This year we decided to foot the bill for the library to add to their collection of books about local food and farming. It looks like they made some terrific choices! We love their photo of the table of books and kind note that they have on display in the library. We hope you have time to make us part of your week. Thanks for reading! It’s so nice to see the produce starting to come in. 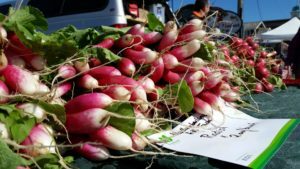 We were happy to have Michael of Northumberland Hills Farm back to the market last Saturday with a table piled high with fresh radishes. Nadia of Undercover Farm is also back on the scene. This year she’ll be occasionally vending on Wednesdays instead of Saturdays some weeks as her family commitments allow. We’re so happy to have her back! Cuppa sold out of their Key Lime Pie Energy Bites really fast last Saturday. 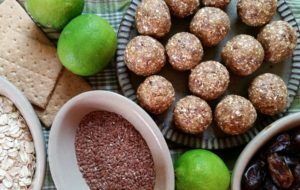 If you haven’t had a chance to try one yet, they are nutritious little snacks packed with tasty combinations of seeds, fruit, nuts, and grains. They try to bring three different varieties each week. Word on the street is that they’ll soon be introducing cold drinks onto their menu. Stay tuned! Don’t forget to check out what’s inside the coolers! Our vendors practice good food handling practices. One of the important rules for us to follow is “keep cold food cold”. 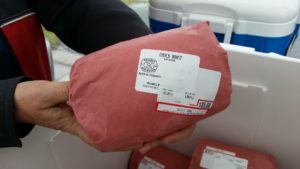 Russett Farms, Braelea Acres, Healey Falls Bison Farms, Rainbow Terrace, Melly Rolls, and Glenlea Farm are some of the vendors who have coolers on their tables to keep their food fresh (or frozen). Read their signs, and don’t be shy to ask to see what’s in the coolers. There’s no pressure to buy. We love to talk about our food! 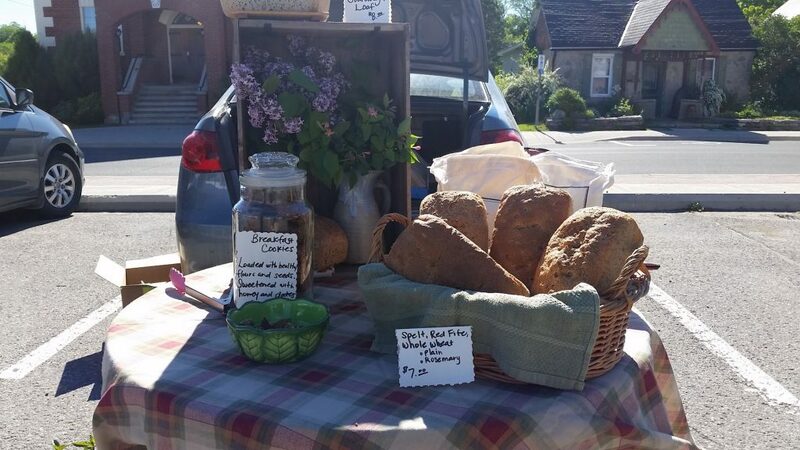 New artisan vendor Relatively Rustic is joining us on Saturday. 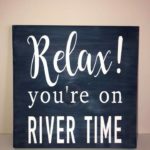 If you live or cottage on the river, you’ll love their new line of river themed items for your home. Environmental group Blue Dot Northumberland, is on the books to use our community stall this week. They got rained out on the long weekend but we’re glad they were able to reschedule. They are a non-profit group that is working towards ensuring that all Canadians have the legal right to fresh air, clean water, and safe food. They’d love to talk to you about their project!